"Thanks so much for all your hard work. It was terrific and we enjoyed everything immensely." Amy McHugh, Co-owner, of Dream Makers Vacation Services and her friend Gina are spending 5 days in Jamaica visiting resorts and connecting with resort partners. Dream Makers Vacation Services co-owner, Amy McHugh and dream agent Robyn Ayers, are attending the Disney’s 2018 EarMarked Summit for the top travel agencies in the country. Read on to see how they spent the last few days experiencing the magic of Disney. Dream Makers Vacation Services co-owner, Amy Mchugh and dream agent Robyn Ayers, are attending the Disney’s 2018 EarMarked Summit for the top travel agencies in the country. They are staying at Disney’s Grand Floridian Resort and Spa. Read on to hear more about the fantastic resort. Portofino Beach Resort is a small boutique resort located on Ambergris Caye outside of San Pedro, Belize. Ramon’s Village is located on Ambergris Caye outside of San Pedro, Belize. Mike and Amy McHugh, co-owners of Dream Makers Vacation Services are traveling with their family to the beautiful Royalton Blue Waters in Jamaica. Read on to learn about their experiences and why you should add this to your dream list of family vacations. Co-owner, Amy McHugh, and dream agent Robyn Ayers are on the inaugural sailing of Harmony of the Seas, the world’s largest cruise ship. Read on to hear about all of the exciting features on this beautiful ship. Co-owner, Amy McHugh, and dream agent Robyn Ayers set sail yesterday on Harmony of the Seas, the world’s largest cruise ship. Read on to hear how they spent their second day at Atlantis. Co-owner, Amy McHugh, and dream agent Robyn Ayers set sail on Harmony of the Seas, the world’s largest cruise ship. This is the inaugural sailing on the wonderful ship. Read on to hear more about the first day on board. Michael McHugh, Co-Owner, of Dream Makers Vacation Services traveled with Sutton McHugh (8 years old) to Nickelodeon Resort in Punta Cana. We stayed for 3 nights, 10/10/16-10/13/16 so that we could experience the resort from an adult as well as a kid’s perspective. Read on to learn about their experiences and why you should add this to your dream list of family vacations. Mike and Amy McHugh, co-owners of Dream Makers Vacation Services spent time this month with their family at the Hyatt Ziva Cancun in Mexico. Read on to learn about their experiences and why you should add this to your dream list of family vacations. 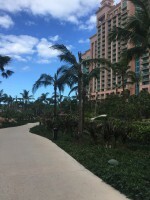 Mike McHugh, co-owner of Dream Makers Vacation Services, experienced a recent workation to the amazing resort of Atlantis. 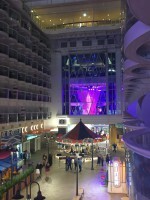 Read on to hear what section he stayed in and more about the many things that Atlantis has to offer you. Co-owner Mike and teammate Jen enjoy their final full day in Jamaica. Read on to hear about their last day at Jewel Runaway Bay. 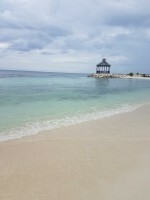 Mike (agency co-owner) and Jen (teammate) are in Jamaica on a workation, visiting preferred properties. Co-owner Mike and teammate Jen visit another property on their third day in Jamaica.